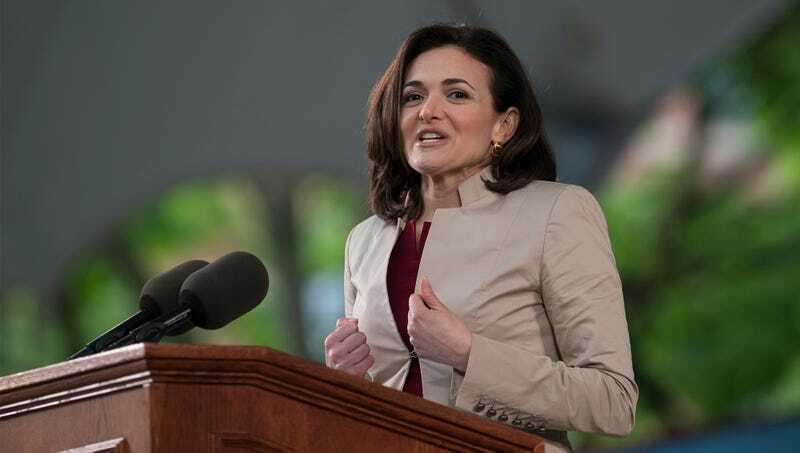 CAMBRIDGE, MA—Emphasizing the graduates’ enthusiasm for life, eagerness to contribute to society, and 22 percent higher than average engagement rate with online data aggregation sites, Facebook chief operating officer Sheryl Sandberg delivered a commencement speech at the Massachusetts Institute Of Technology Friday explicitly referencing graduates’ personal information. “The class of 2018 is a resilient lot, exemplified by graduates like Jordan, who maintained a 3.9 GPA despite losing his grandmother to kidney failure soon after Jamie cheated on him over homecoming weekend, irreparably damaging their three-year relationship,” said the best-selling author of Lean In, who also praised the “boundless curiosity” of urban studies major Cynthia Vargas, who travelled to 12 countries, managed 6.7 travel-related posts per day, and correctly answered “16 Questions Every Sound Of Music Fan Should Know” while enrolled full-time at MIT. “When I look over this crowd, I see not only the future leaders of American thought, but of American industry; roughly 76 percent of you have expressed interests in renewable energy sources. I can’t wait to see the innovations you’ll bring to this field.” Sources confirmed that Sandberg called out several honors students by name at the conclusion of her address, advising them not to pressure themselves to lose their virginities.